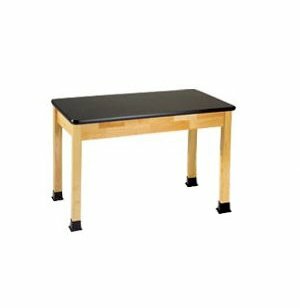 These lab tables have Wilsonart Chemsurf chemical-resistant, laminated tops which are resistant to most chemicals and stains, but have limited resistance to high temperatures and severe chemicals. The 1 1/4" thick Chemsurf tabletop cleans easily and retains its finish over time. 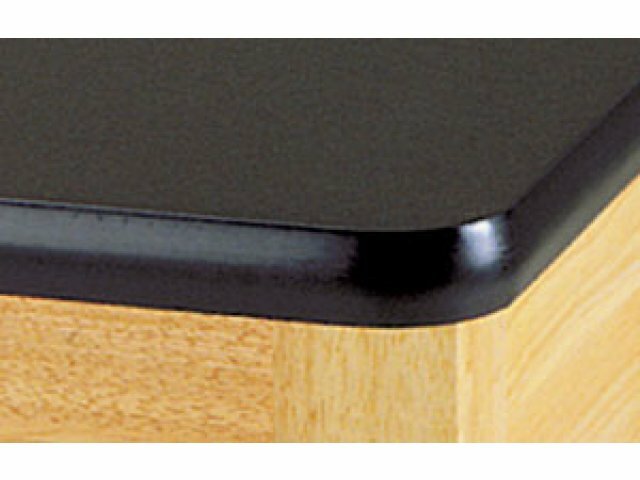 Safe: Tabletop finished with heavy-duty, thick safety Vinyl bullnose "Bumper" T-Molding. 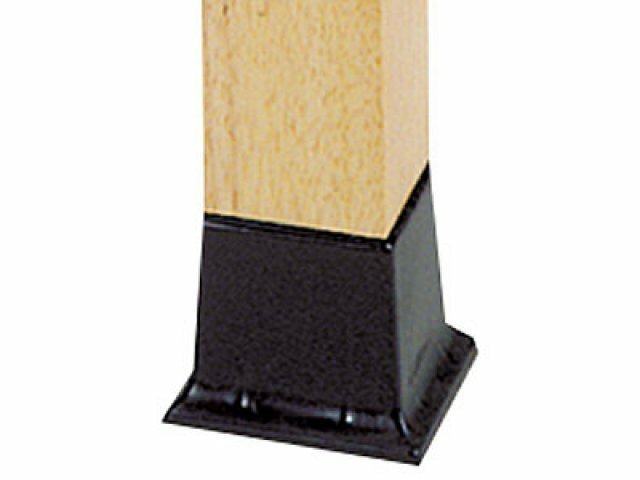 Superior Strength: 2.25"square Solid hardwood legs and 3/4" x 5" solid hardwood aprons. 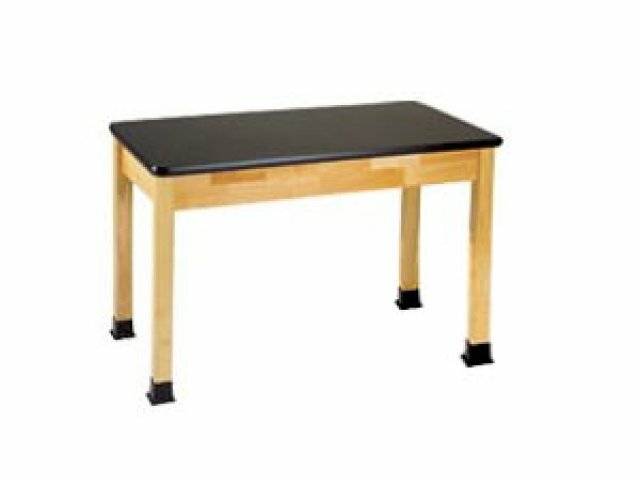 Easy Maintenance: Laminate tabletop can be easily wiped clean with just a clean, damp cloth.